The word “innovative” has been thrown around a lot in the aftermath of Microsoft’s Surface announcement, but how innovative is the design, anyway? The thickest part of a MacBook Air is the keyboard, which allows you to balance it on your lap to type on it; where as the Microsoft Surface is just an Air flipped upside down, with the thickest part the screen, making it the first thing to go flipping off your lap. 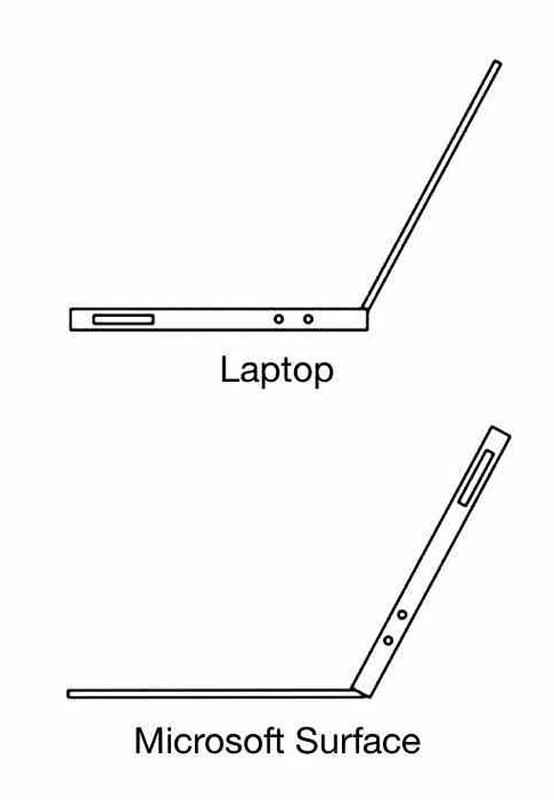 Okay, we admit, this image is a little exaggerated, but it’s funny, and it does raise a good criticism of the Surface: ostensibly, the Surface is a tablet with a keyboard cover that allows it to be used as a notebook, but its form factor makes it impossible to type on unless you’re at a desk or a table.